How has your hair journey been going so far, this year? It's been a month or two since I've updated about my hair journey here. And let me tell you, these last few months have been a lot of work! I'm 31 weeks post, and my hair has been telling me to take it easy. I don't always listen, however. When I updated back in January, I was experiencing a little breakage and shedding. After careful consideration, I decided to do a trim, putting my hair back at shoulder length. I was pretty happy about my trim, but unsure about what to do next with my hair. I wanted to baby my ends as much as possible. I wanted to protect my sensitive nape and edges as much as I possibly could. So I decided against relaxing and have just been deep conditioning and protective styling. I have faced a few challenges with stretching, but I feel that with low manipulation my hair will be just fine. I've finally decided to keep it simple and let my hair chill out. My last wash day was yesterday and is pretty much the way I've been cleansing my hair lately (with the exception of the shampoo I had two weeks ago). Check out how I've been "lazy girl cleansing" below. 1. Ran warm water on my hair and scalp for about 3 minutes to remove any excess moisturizer and other debris from my hair. 2. Applied Herbal Essences Hello Hydration Moisturizing Conditioner throughout hair and scalp. I did two "co-washes" with this and rinsed thoroughly. 3. Blotted hair with a t-shirt and applied warmed mix of SheaMoisture Jamaican Black Castor Oil Deep Conditioner, peppermint oil, and JBCO to my hair. Deep conditioned under a cap for about an hour and a half while cleaning. 4. Rinsed deep conditioner from my hair completely. 5. Applied Herbal Essences Hello Hydration Conditioner to my hair and let sit for 5 minutes. I detangled carefully, from ends to roots, then rinsed completely. 6. Blotted hair with a t-shirt and applied OGX Coconut Oil Anti-Breakage Serum to the length of my hair. Then I wrapped my hair in the t-shirt to let it air-dry. 7. After dried, I applied Cantu Naturals Shea Butter Moisturizing Curl Activator Cream to my hair (paying close attention to my roots) and sealed with coconut oil. 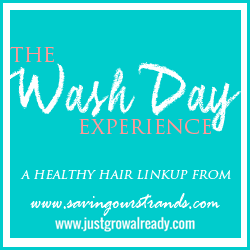 Though many people say their hair doesn't feel clean after a co-wash, the co-wash has been doing fine by me lately. After my wash day, I have clean, manageable hair. And manageable is my main motive at this point in my stretch. 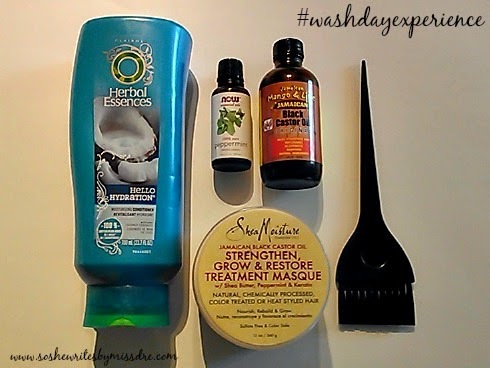 The co-wash + deep conditioning definitely helped soften my new-growth and restored moisture to my lifeless, limp ends. The HE Hello Hydration detangled my new growth like a dream. If there are other conditioners that have slip as great as this one, please tell me about them in the comments! The Cantu Shea Butter Moisturizing Curl Activator Cream is did a good job of moisturizing my roots, but it made my ends feel hard. 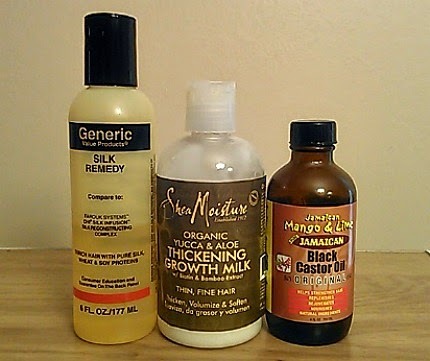 I think I will go back to using African Pride Shea Butter Miracle Bouncy Curls Pudding or SheaMoisture Curl Enhancing Smoothie to moisturize, as they both do a good job of equally moisturizing the two (or three) textures I have. 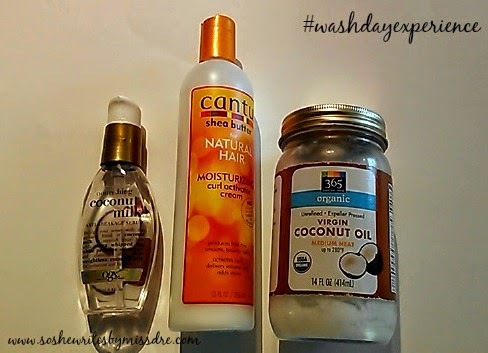 If you can't tell, I've definitely been digging in my daughter's curly girl stash for my hair care needs lately. Lol. In short, my wash day was pretty decent. Next wash day, however, I will be putting aloe vera juice back into the mix (it detangles the best and defines my curl pattern). I'm trying my best to go as low-maintenance as possible with my protective styles, so I pulled out my faux-puff and went to work. This way, I'm able to tuck away my ends and even baggy them if I want. Sorry for the long face, guys. 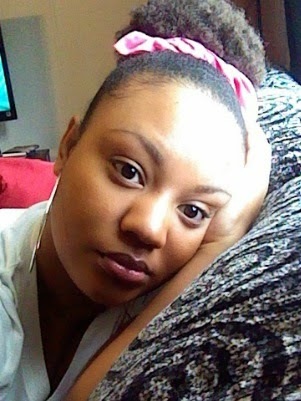 Nap time was looming. Lol.